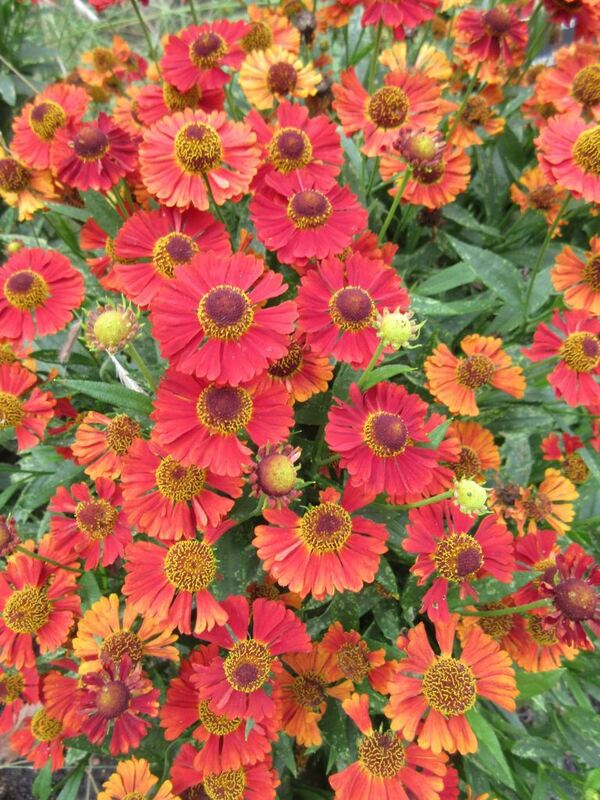 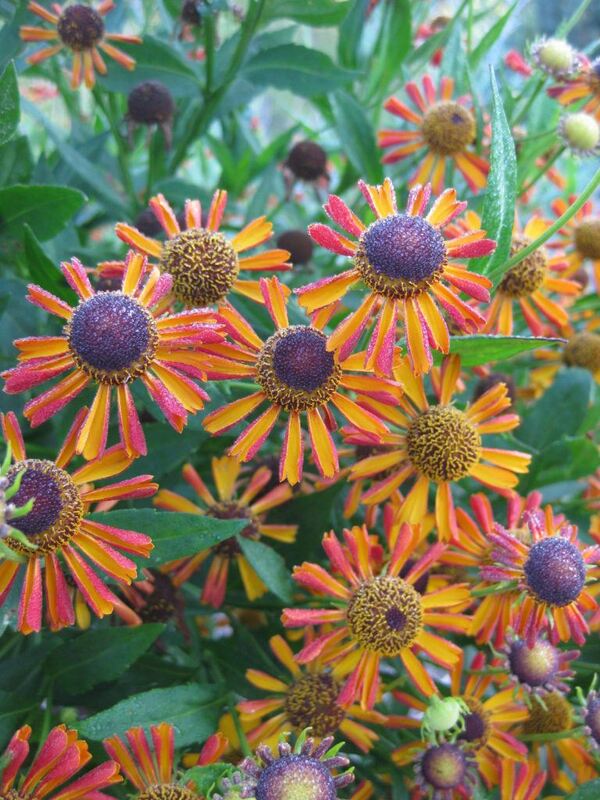 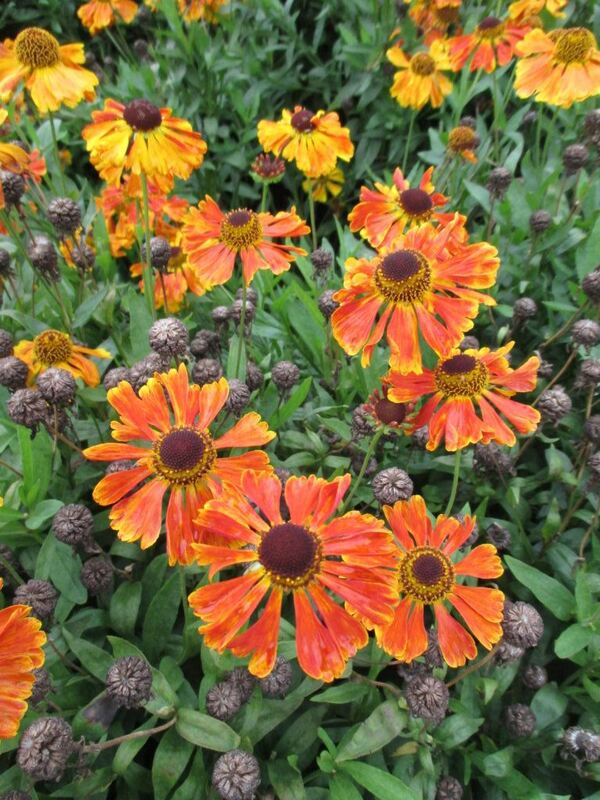 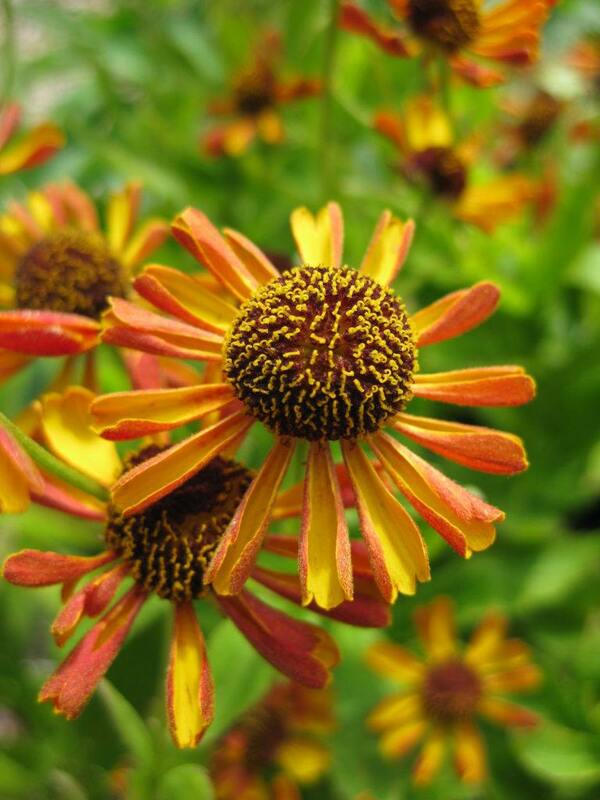 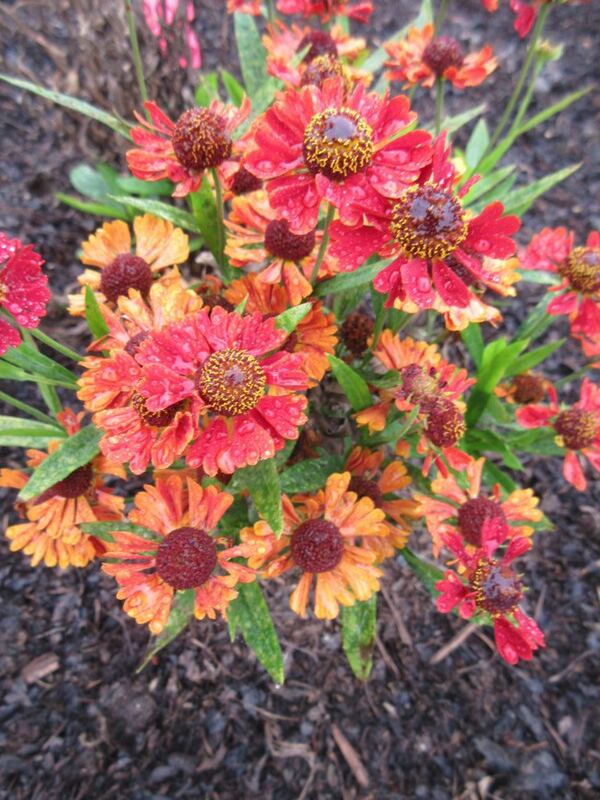 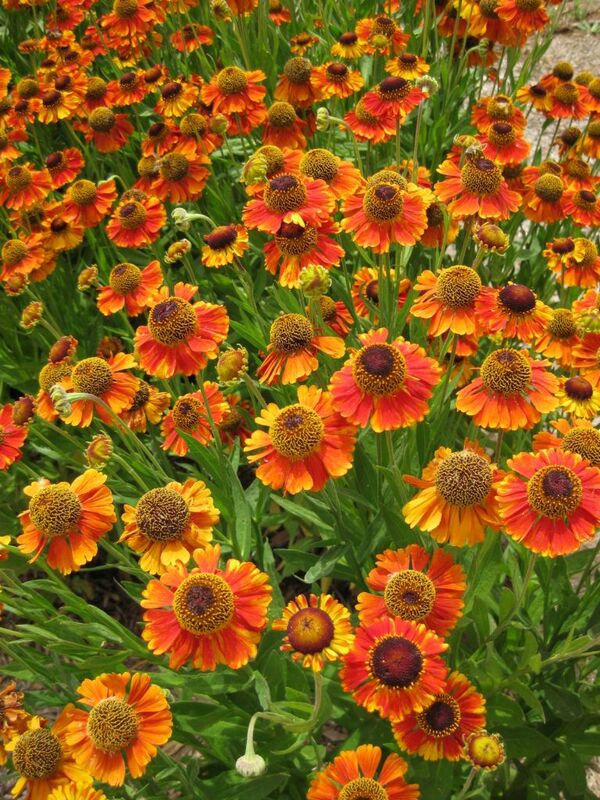 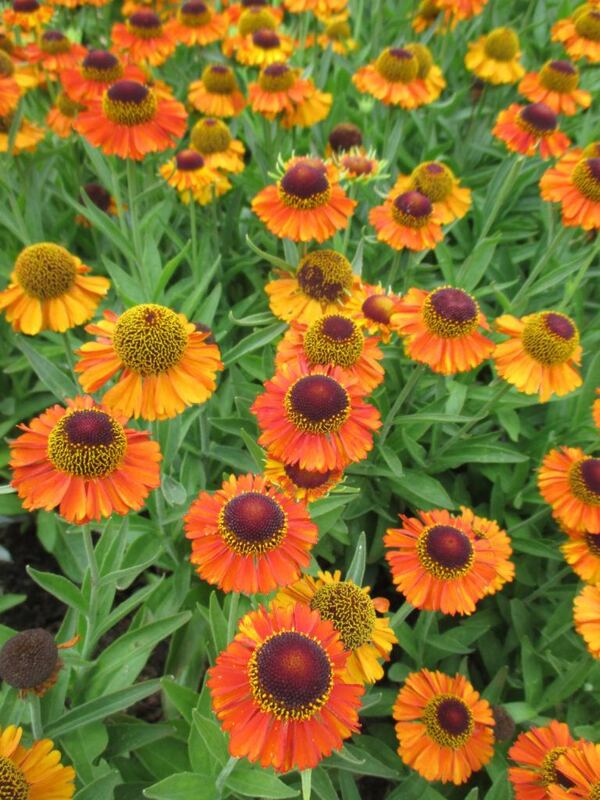 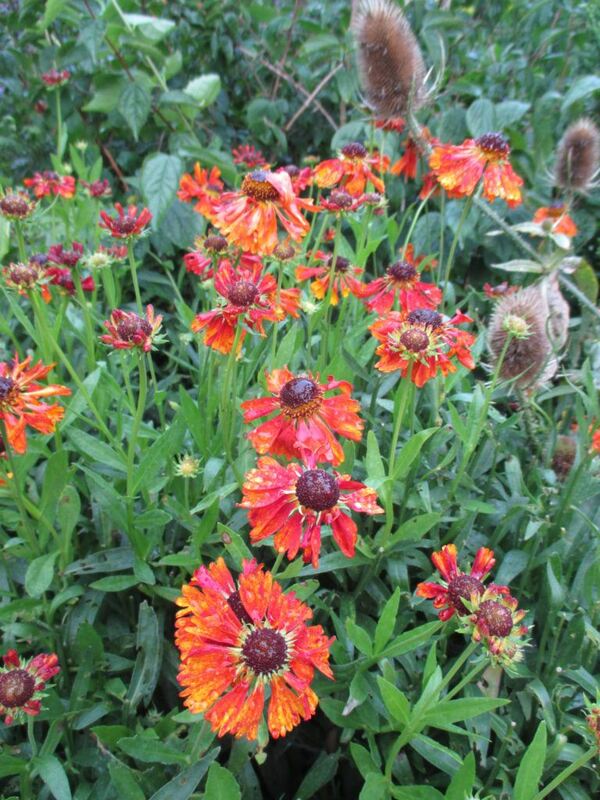 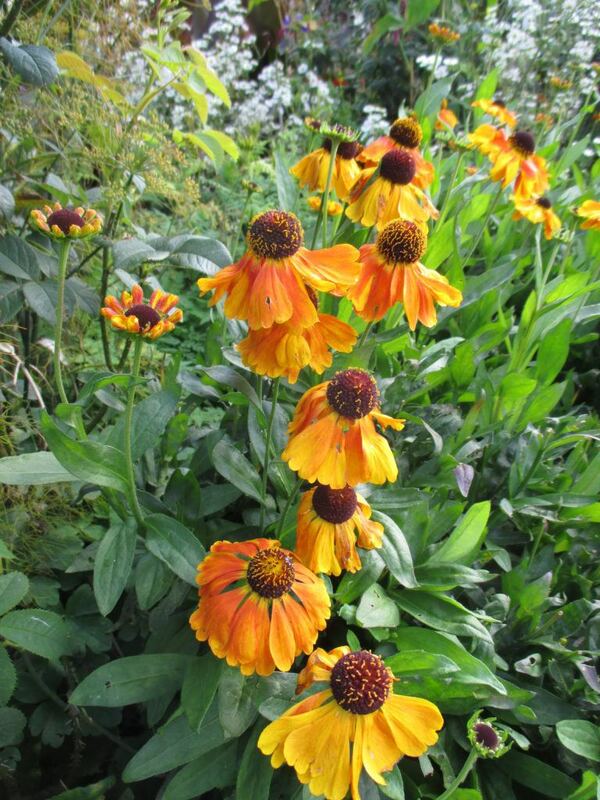 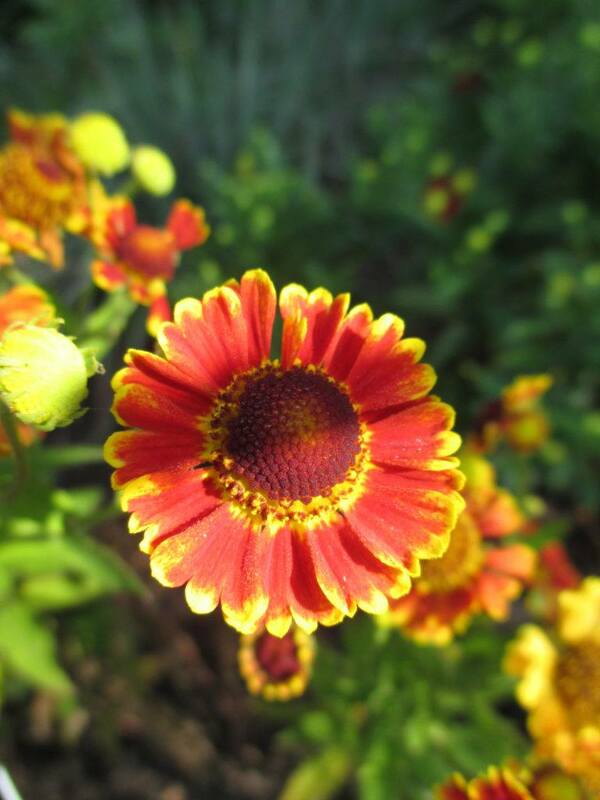 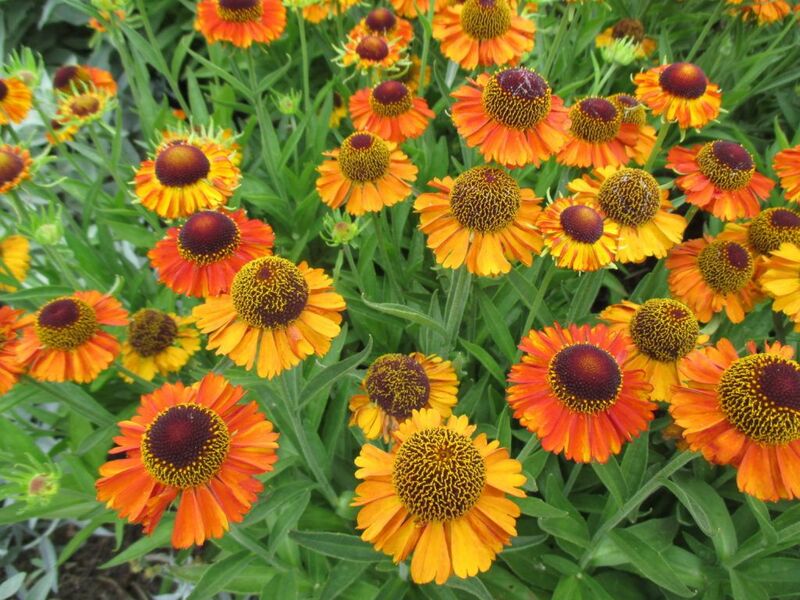 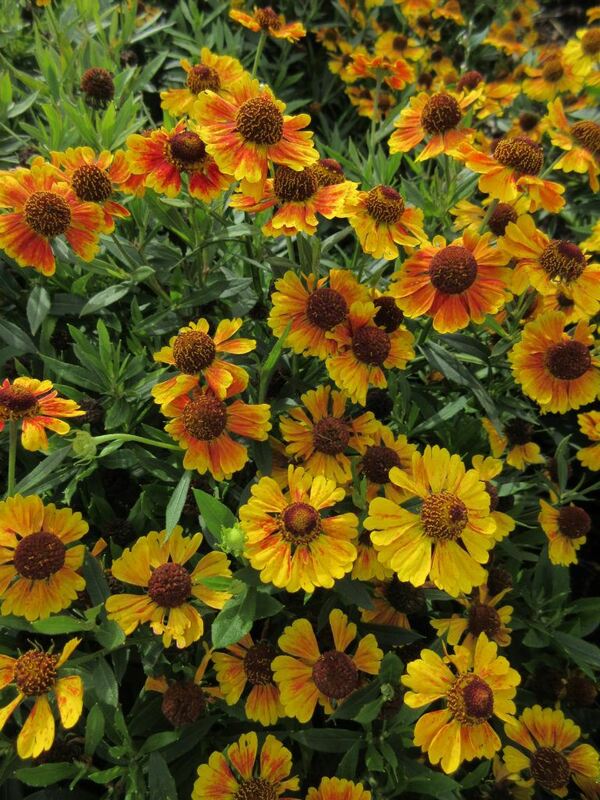 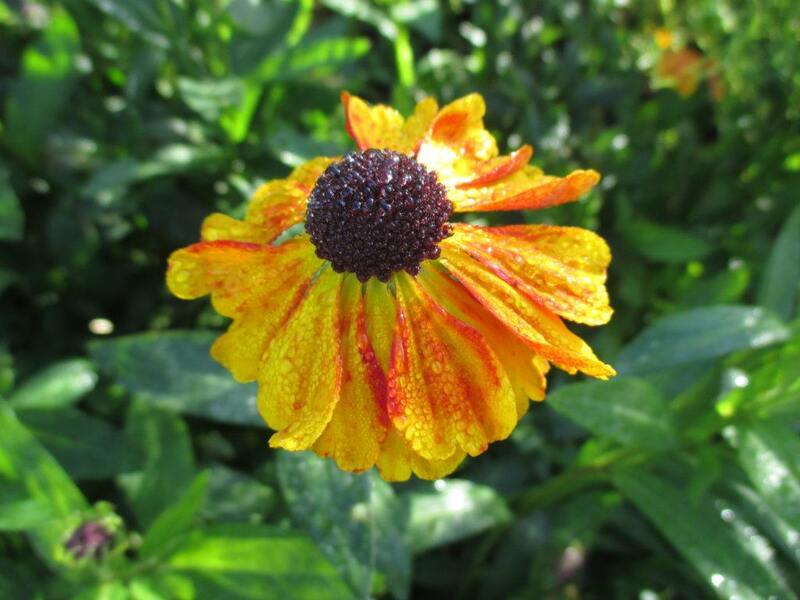 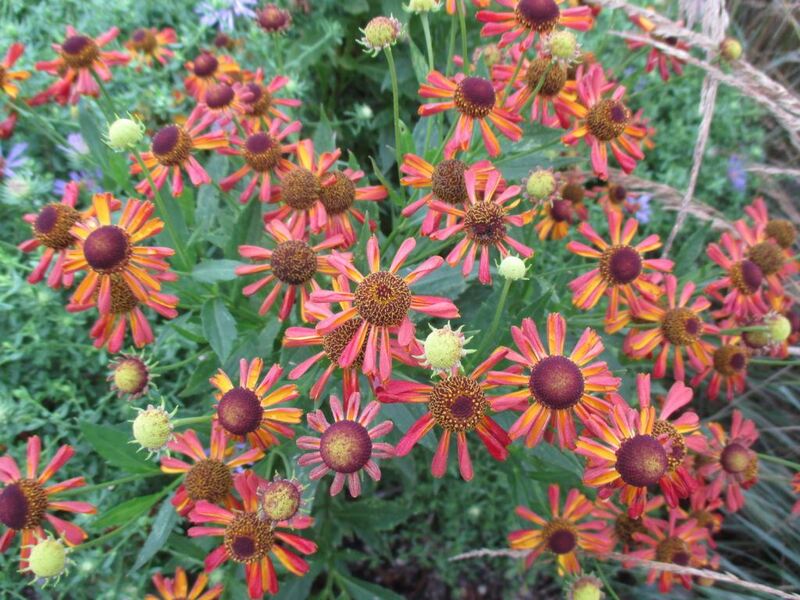 With overnight freezing rain and an icy landscape this morning, dreams of rich, late summer coloration are in order with a tribute to Helen’s Flower (Helenium autumnale)! 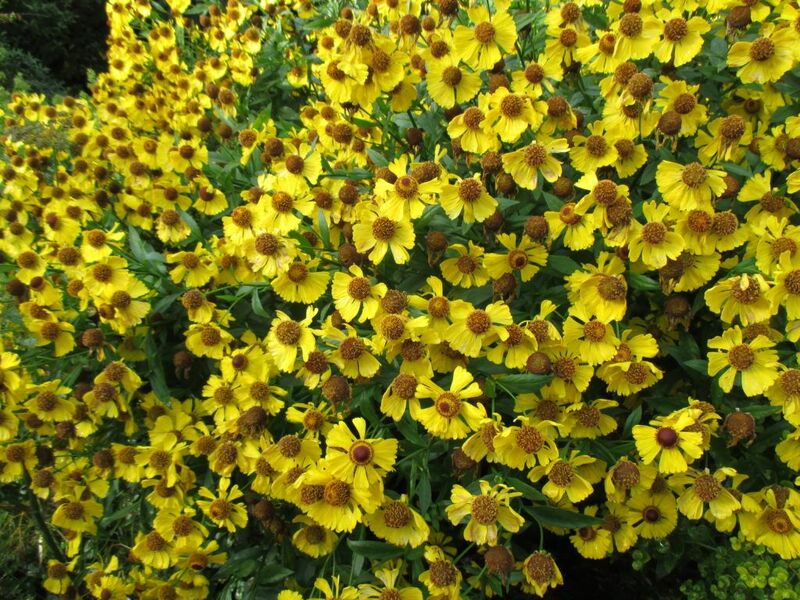 Directly above and below is the variety ‘Betty’ which is one of dozens of varieties of this underappreciated perennial available for the home gardener. 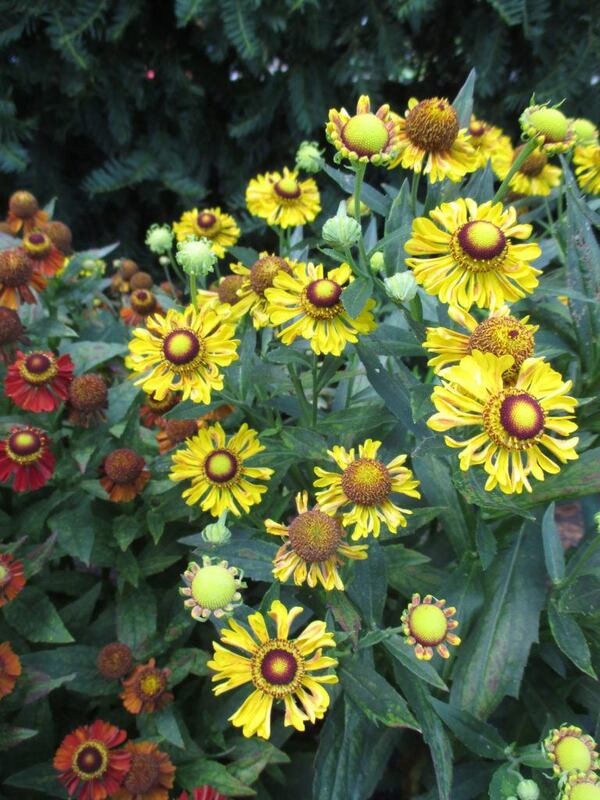 The top photo is ‘Tie Dye’…my favorite variety. 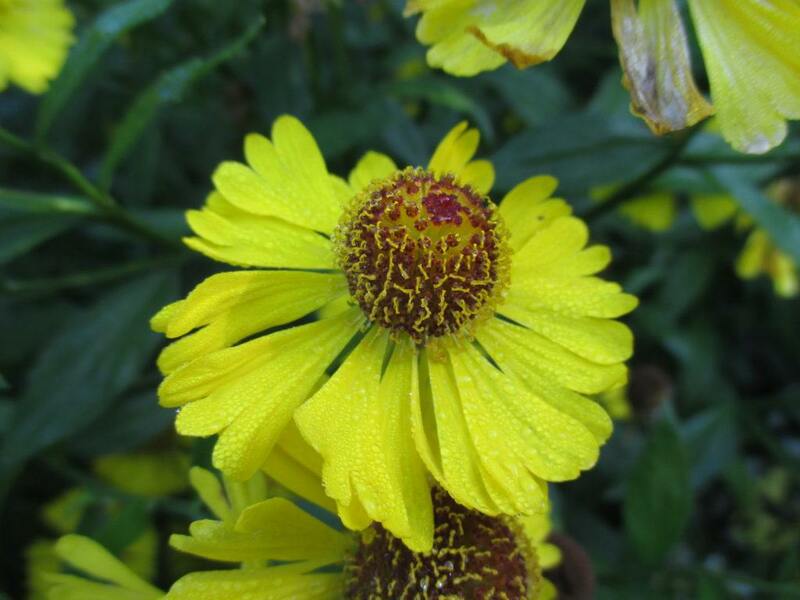 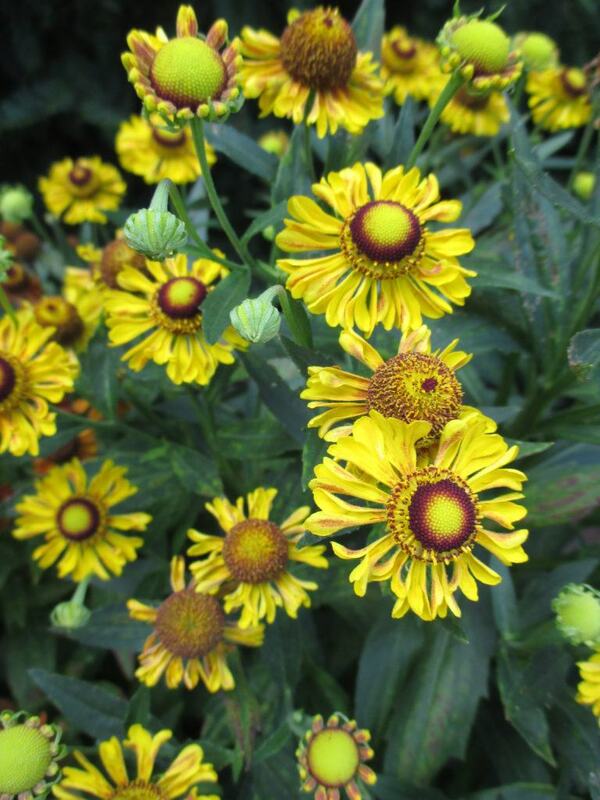 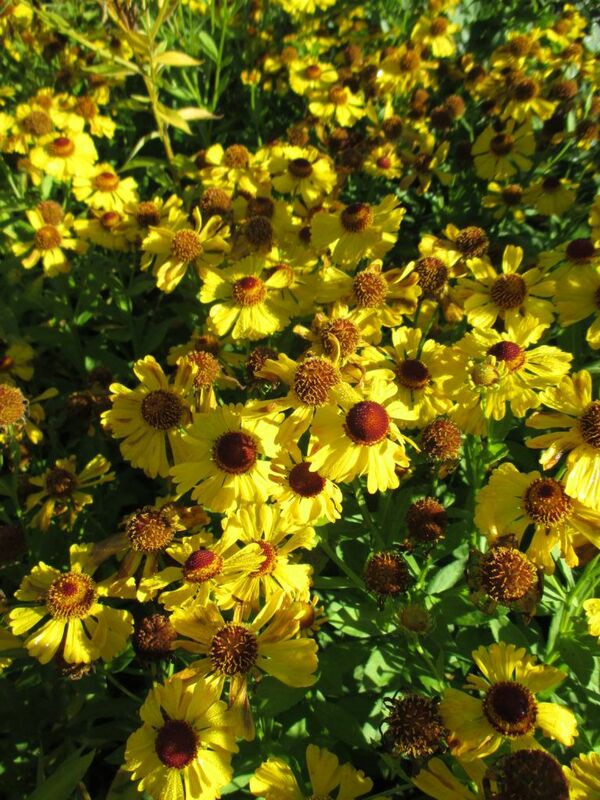 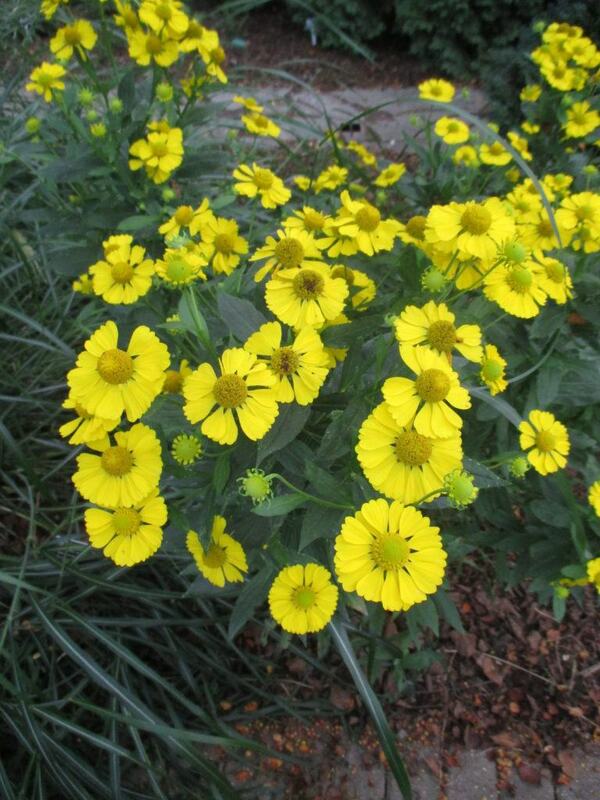 I think Helen’s flower, commonly known as sneezeweed is one of the most underutilized perennials out in the garden despite its significant late summer contribution of color. 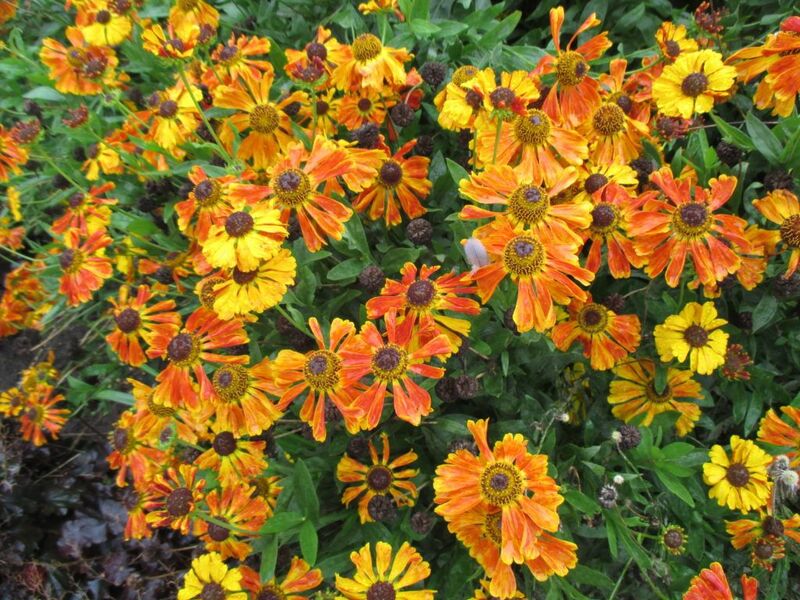 Some varieties start blooming in August and some later blooming selections will go well in to early October. 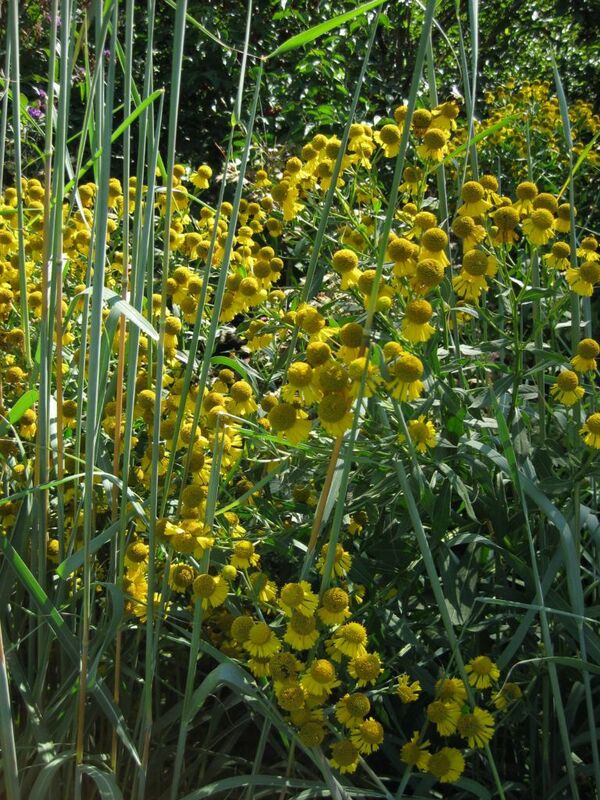 A bit of history with the plant (gleaned from the internet) is that the genus is from the Greek name helenion which is the name of a plant that honors Helen of Troy. 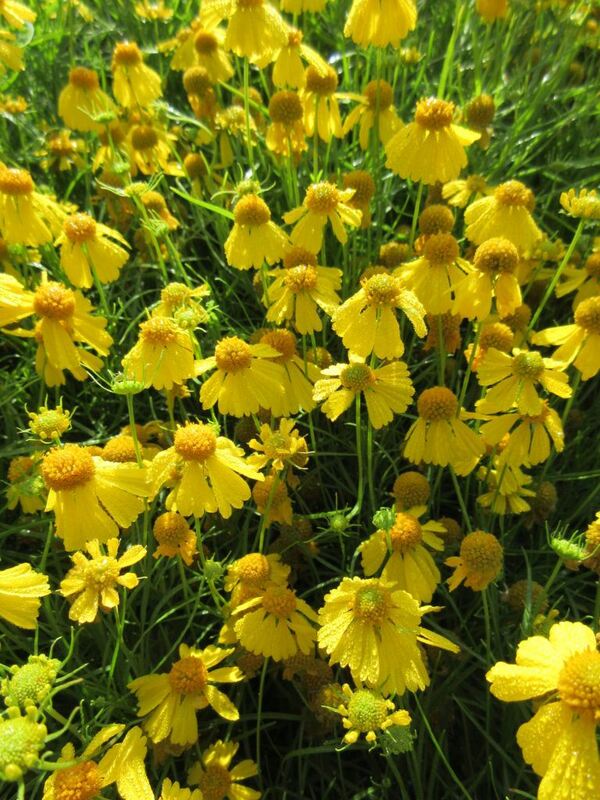 Lore says that these flowers sprang from the ground where Helen’s tears fell – which is odd as she likely couldn’t have been anywhere near the native range of this perennial! 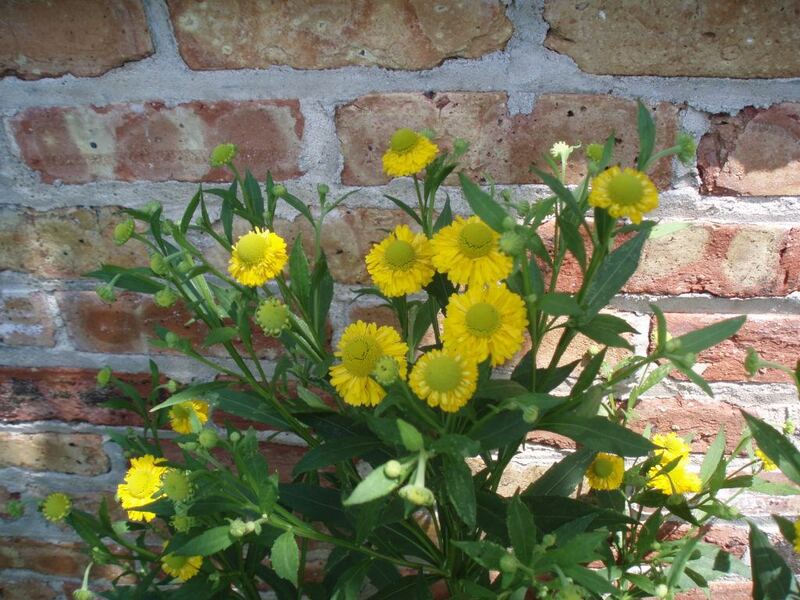 Powdered flowers and leaves were used as snuff and could prompt sneezing to clear a head cold and other ailments. 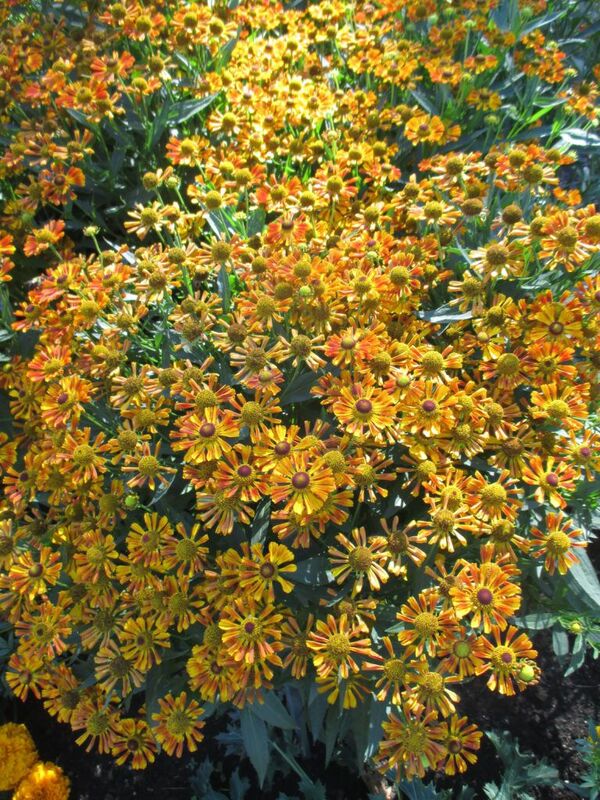 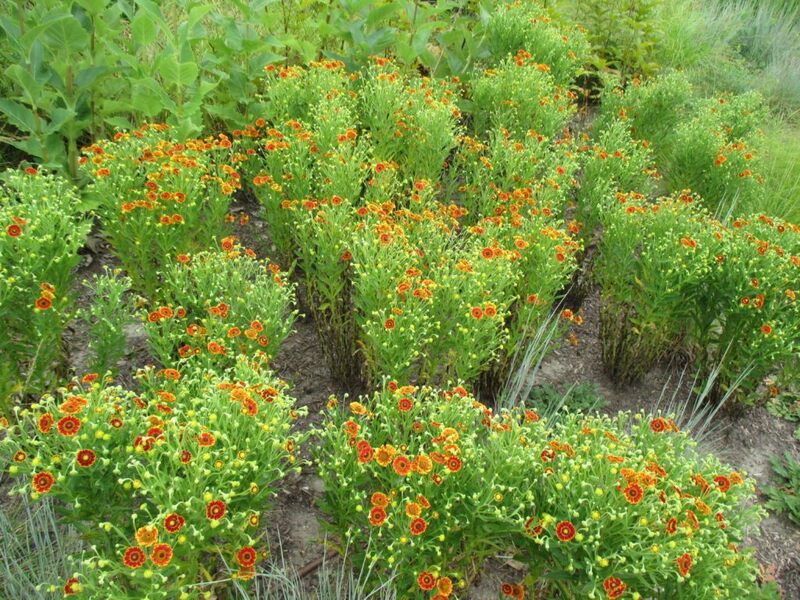 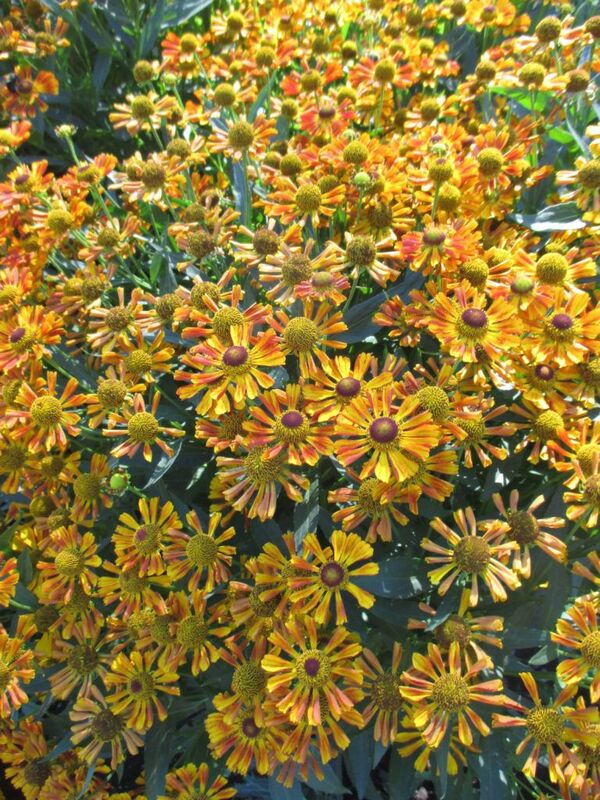 Native to most of the United States (and beyond), this perennial (hardiness zones 3-8) is normally found in moist openings, edges, shores and thickets. 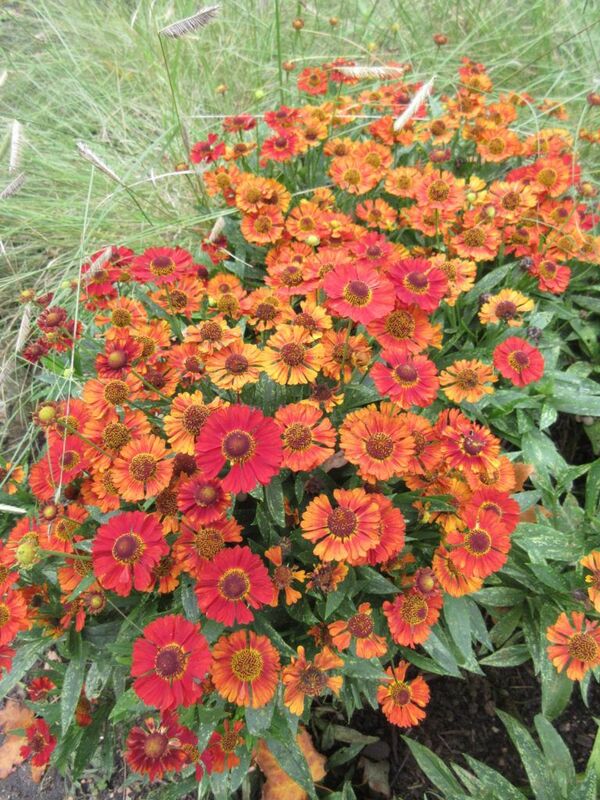 Helen’s flower is not drought tolerant and specimens that dry out look ragged fairly quickly. 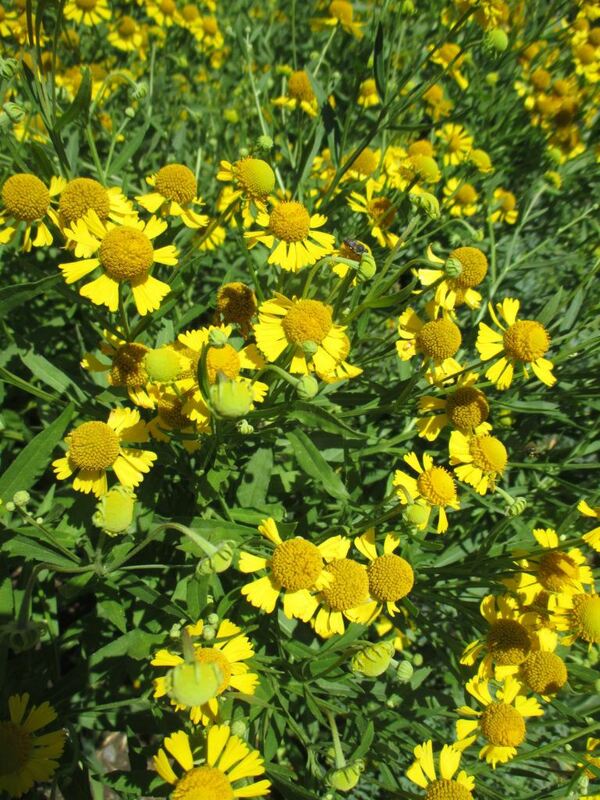 Valuable for a wide range of insects, the plant is deer resistant and can be poisonous if consumed in volume by livestock. 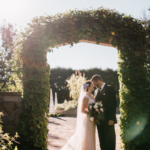 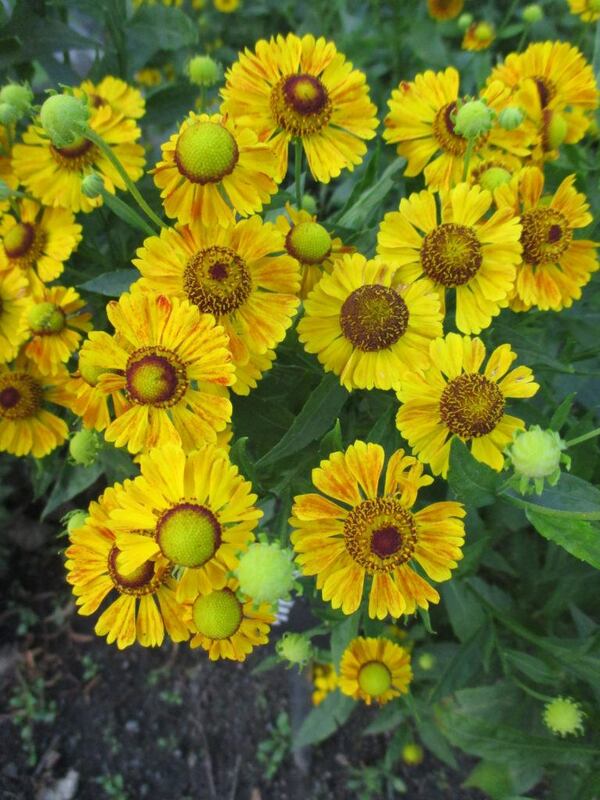 Years ago, the majority of the selections were in the 3′-5′ range but more recent breeding and selecting has provided many shorter opportunities in the 15″-24″ range which brings this full sun perennial in to the front of the border as well. 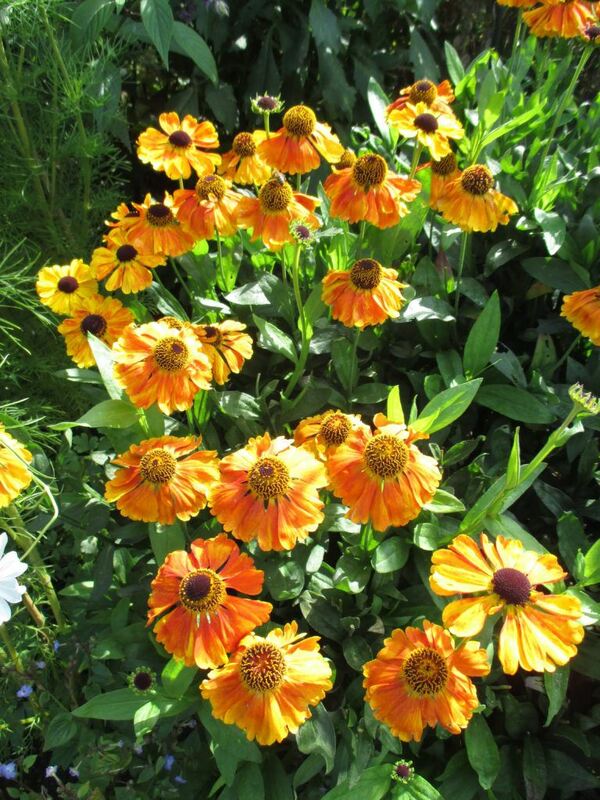 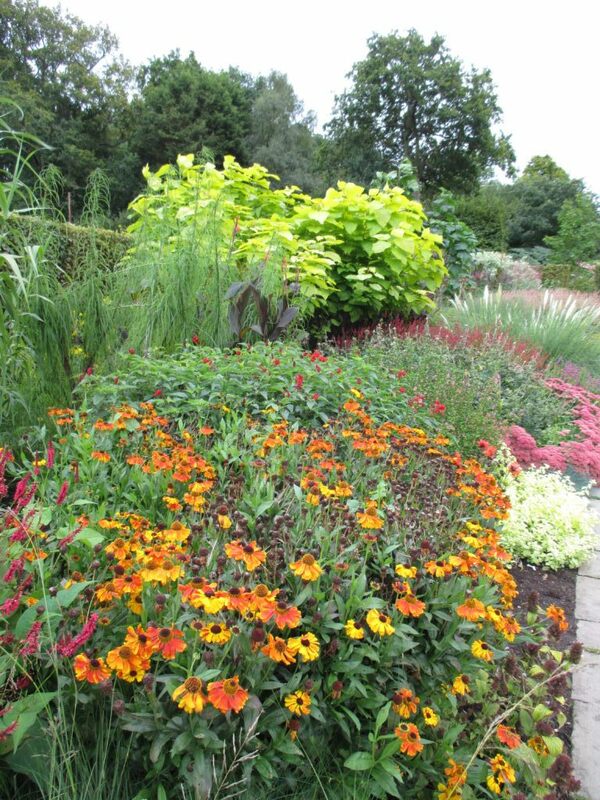 For the taller varieties, cutting the plant back in half in mid-June will create more branching on a compact plant with more flowers. 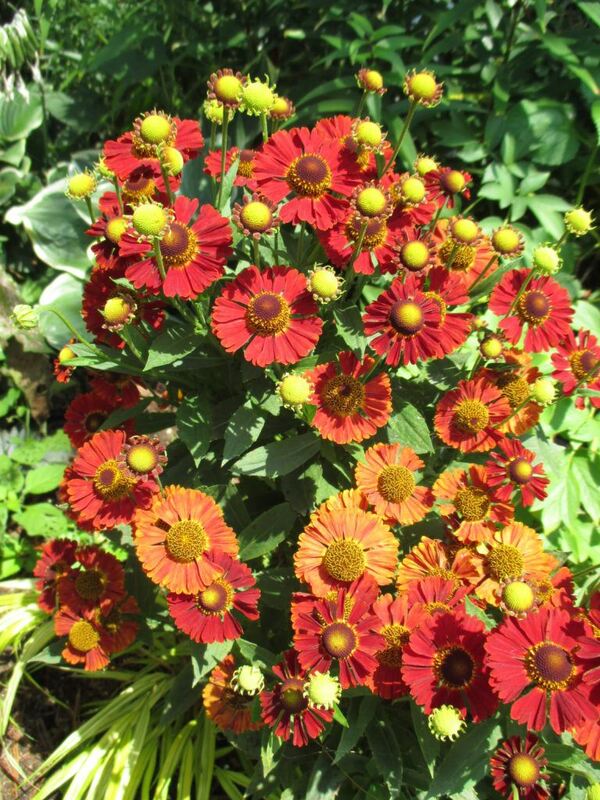 Again, don’t neglect to check out the newer, compact varieties as well. 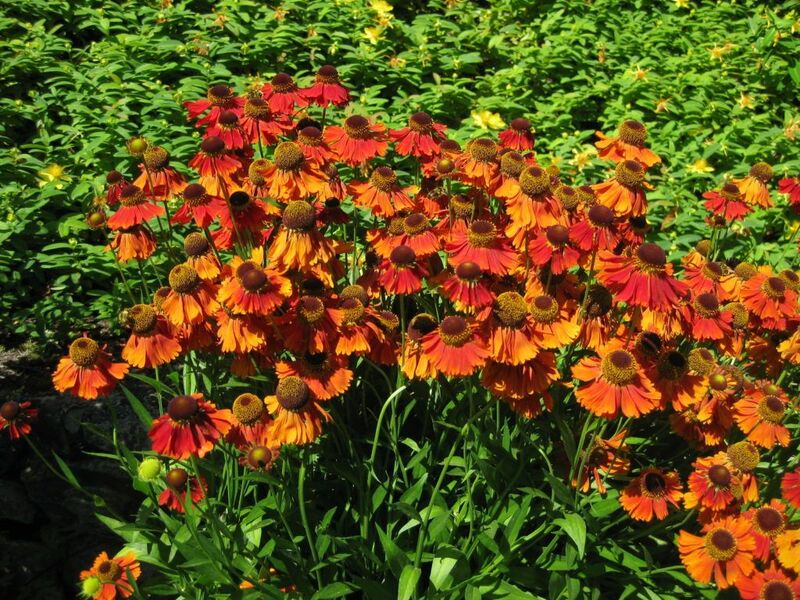 Dr. Susan Mahr (UW-Madison) wrote an excellent article on this plant at www.wimastergardener.org/article/helenium-helenium-autumnale/ which is worth the read! 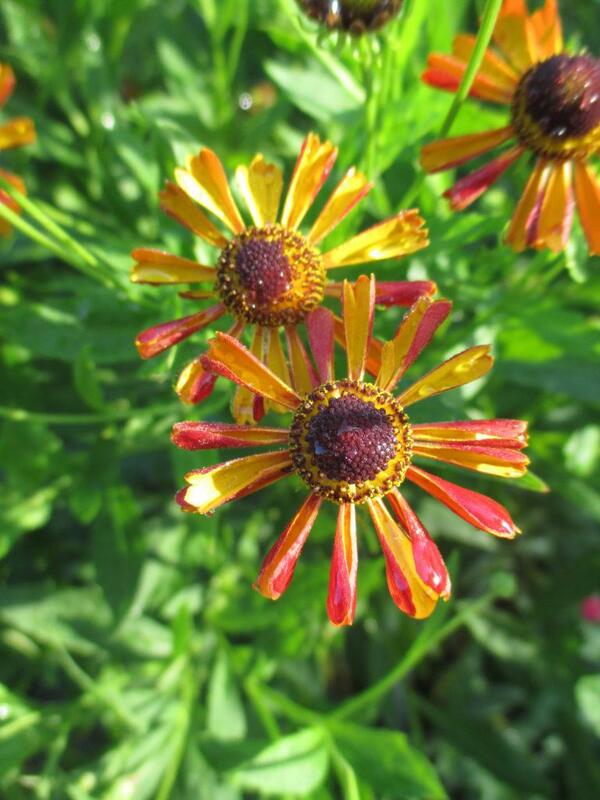 ‘Tie Dye’ (above and three below) – note the semi-fluted petals! 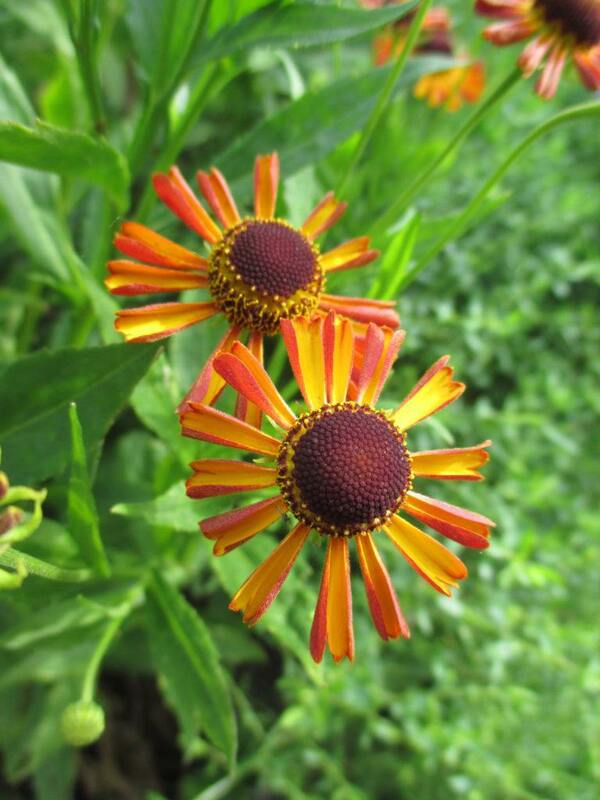 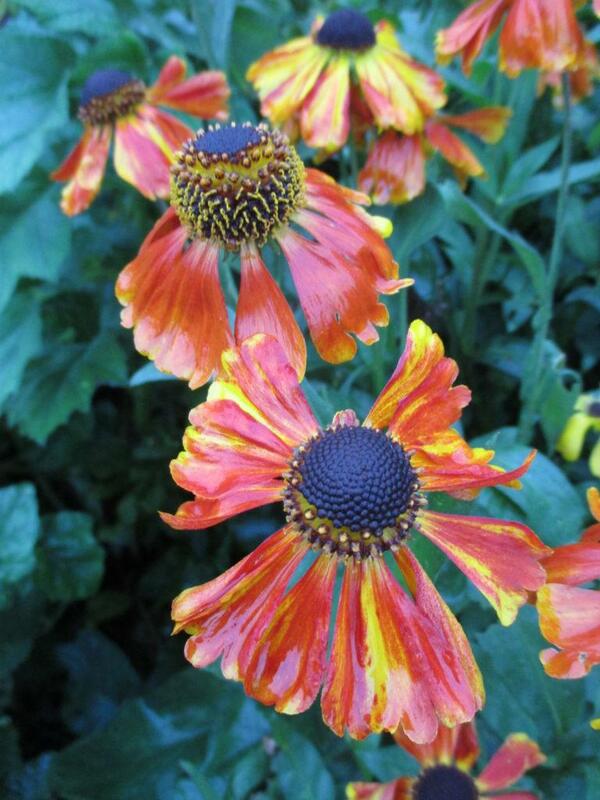 the photo above and those below are unknown varieties seen in the UK – the English sure appreciate Helen’s flower!